How cool is this? 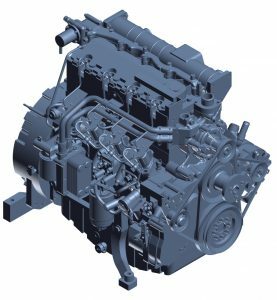 Our DEUTZ 2011 Engines are more reliable, easier to maintain, quieter and less prone to erosion thanks to an efficient cooling system. Some of our clients may not realise that 2011 engines are liquid cooled using oil or water jackets. They do resemble a typical air-cooled engine, but looks can be deceptive! Water and oil cooled options are available, making the engines more efficient than ever. Compared to others, they are also among the quietest in their class. 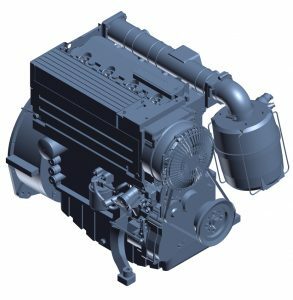 Designed specifically for stationary and mobile equipment, 2011 Series engines are fuel efficient and extremely compact, reducing installation costs. They have an exceptional power to weight ratio, while complying with stricter regulations on environmental protection up to Tier 4i for TCD range under 56kw. Cooling and oil lubrication prevent corrosion and cavitation, while exceptional reliability means longer intervals between maintenance and less wear on internal parts. Due to their oil jacket engine cooling system, our 2011 Series engines emit less noise than other engines in their class, eliminating the need for expensive insulation. A cast Iron cylinder head and engine block guarantees durability and long engine life. Options include both integrated and remote oil cooling systems, allowing flexibility and ease of engine installation. Various engine configurations and accessory options are available for ease of integration into machinery or equipment. Two, three and four-cylinder naturally aspirated in-line engine options. Four-cylinder engines also turbocharged option. Power output 12-58kw across the range. Option for remote mount cooling system. 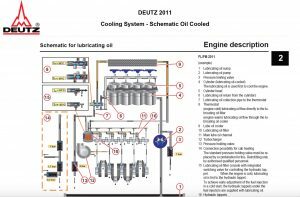 Engine cylinder head and cylinder cooling jackets are cooled using the engine lubrication oil instead of coolant. Fourteen per cent more power output compared with its successor 1011F. PTO for hydraulic pump drive has increased by 55 per cent. Two, three and four-cylinder engines with inline turbocharged, oil-cooled or integrated cooling system. The four-cylinder engine is also available with water cooling and charge air cooling. The compact engine design and an optional PTO drive reduce installation costs and increase the number of applications. 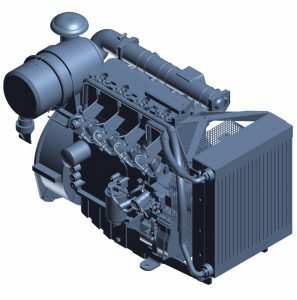 Our < 56 kW engines meet US EPA Tier 4 interim standards. The robust engine design allows them to be operated anywhere in the world, even with high-sulphur fuels. Having all maintenance parts on one side of the engine, long oil change intervals and the ease of changing engine fluids all reduce running costs and time off-line. An efficient injection system and optimised combustion ensure optimum engine performance and low fuel consumption.